Higher price lows and lower stochastic lows… Why, that’s a bullish divergence right there! USD/CAD could be due for a bounce soon, as price is also finding support at the rising channel bottom on the 1-hour forex time frame. This support area lines up with the 100 SMA, which just crossed above the longer-term 200 SMA and might act as a dynamic inflection point. 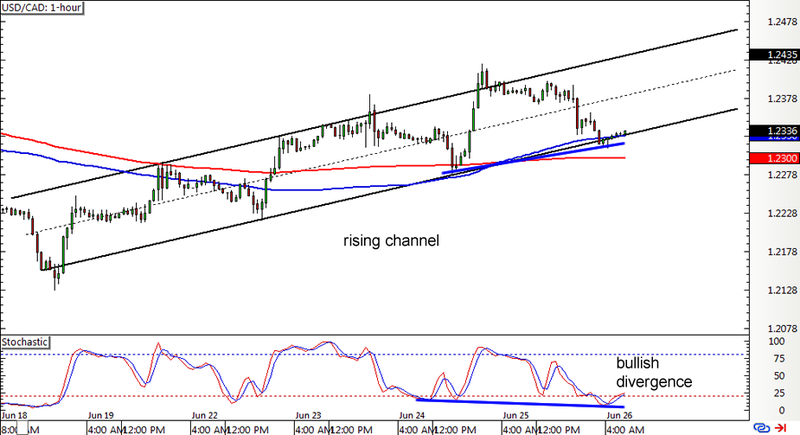 USD/CAD could climb to the top of the channel near the 1.2475 to 1.2500 levels if the uptrend stays intact. However, if dollar bears come out to play, the pair could break below the channel support and the 200 SMA before starting a downtrend. 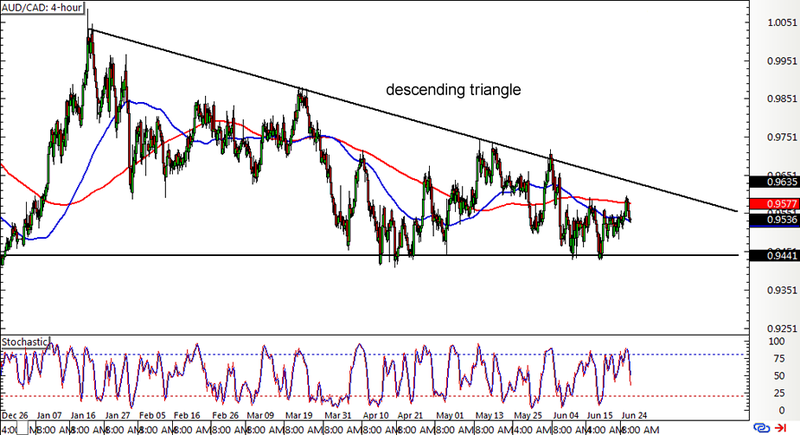 Here’s another potential divergence play showin’ up on NZD/USD’s 4-hour forex chart! The pair formed lower highs while stochastic drew higher highs, creating a bearish divergence and hinting that the selloff might resume. 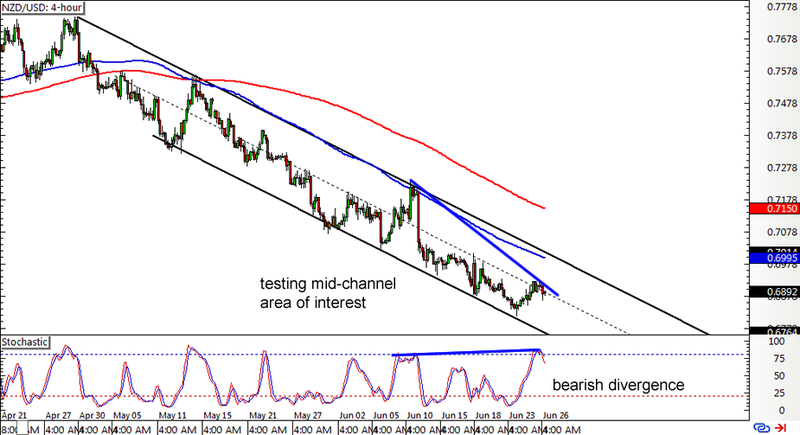 Price appears to be finding resistance at the mid-channel area of interest anyway and might be eager to dive back to the channel support and form new lows. If Kiwi sellers aren’t ready to push the pair lower yet, price could still pull up to the descending channel resistance near the 100 SMA and the .7000 major psychological mark. Still holding! If you’ve been keeping tabs on this descending triangle forex chart pattern on AUD/CAD, then you’d see that the pair is still stuck inside. It seems to be finding resistance at the moving averages but might still be able to make a test of the triangle resistance near the .9600 major psychological resistance. Stochastic is already moving down from the overbought zone, suggesting that a move towards the triangle support at the .9450 minor psychological mark might take place. Just be on the lookout for potential breakout situations in either direction since the resulting move could last by around 600 pips or the same height as the formation.